There's often misplaced nostalgia in the wine industry for earlier eras, when much wine was spoiled, and fresh white wines as we know them didn't exist. Nostalgia for pre-21st century moonshine is even more misplaced. First, there's hygiene. How is the distilling process here (a licensed Georgia plant) different from what people used to do in the woods? someone asked. Bullet Bob was quick to answer. "We're in a much cleaner environment," he said. "There's no dead possum in the mash." But there's also simply taste. Corn distilled into alcohol, if pure, can have a nice rich flavor of the source ingredient, if it's not adulterated with sugar to boost the alcohol content -- which most moonshine was -- and if the distiller didn't mistakenly include some of the methanol that's the first thing to run out of the still. There's only so good that a perfect jar of corn squeezins can get, though. We're not talking about complexity and finish here, only the absence of yuckiness. So for the modern stuff, all you have to do is not screw up. Joe Michalek, founder of Midnight Moon distillery in New York, took some of his product to NASCAR driver Junior Johnson and some of his moonshining buddies, looking for an endorsement. In true Appalachian style, they passed around a jar, each man taking a sip. Somebody mixed a bit of it with Coke. And as Michalek tells it, the response went something like this: "Damn, Junior. We've been trying to make liquor this good for 50 years." Joyce covers the entertaining early history of moonshine. President George Washington faced a crisis in 1794 with the Whisky Rebellion, when rioters in Pennsylvania burned houses and shot tax collectors after the federal government tried to raise revenue with a tax on whiskey. The riots weren't unjustified: the poorly written tax law benefited large producers and punished farmers. Civil disobedience made a difference, as the law was modified and later repealed, leading to peaceful, legal whiskey making for decades, and the birth of the Bourbon industry in Kentucky. Then the U.S. government needed to fund the Civil War. It taxed everything it could think of: parasols, pickles and preserved meats had their own specific taxes. Income tax began with a flat tax on certain professions: jugglers were charged double what dentists and lawyers paid. And the federal tax on liquor went from 20 cents a gallon in 1864 to $2 a gallon by 1868. That's $32.79 in today's currency, so it's easy to see how moonshine took off. The center was the South, which hated the U.S. federal government anyway, and had 60 years of experience in whiskey making. But moonshining was nationwide, and not just rural: stills were broken up in New York City, among other places. This accelerated during Prohibition, when people made whiskey in their bathtubs. After Prohibition was repealed, though, the South became the center of moonshining. The genesis of NASCAR was races between drivers whose main job was outrunning federal agents on the back roads at night with a trunk full of moonshine. The reasons were still somewhat economic, as moonshine remained cheaper than legal booze. 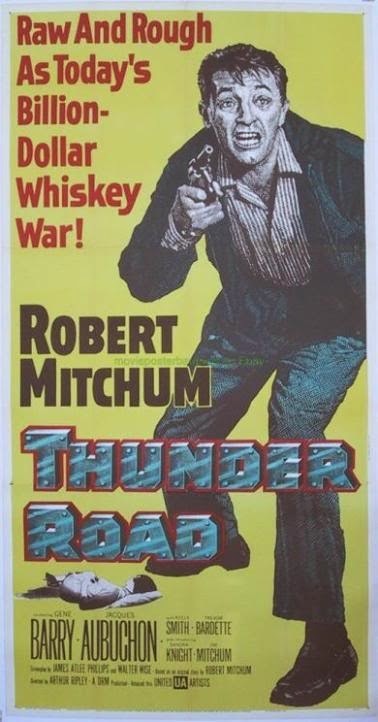 But it also had become a respected profession and means of rebellion among the locals -- the movie "Thunder Road" still drew big audiences to theaters 25 years after its release -- and didn't begin to fade until the South discovered marijuana in a big way in the 1970s. A great book on wine can make you want to crack open a bottle. Joyce's book made me want a good Scotch, which is now cheaper than moonshine and is therefore my own Whisky Rebellion. Possum flavored moonshine, huh? Not too appealing. Here in the South most of the jars are flavored like apple pie or peach moonshine. B: The book says apple pie is the classic. Maybe some batches just have a few unexpected savory notes.